Philips must be trying to redefine the term "entry-level" with is SA4000 digital audio player, which sports a massive amount of built-in storage—512MB— and a seven-color backlit screen. Something called a AAA battery supplies the DAP with power and it's rated to last for 10 hours. Thank God it PlaysforSure. No price listed, though. For shame. You know what, this player is even bested by digital audio players released years ago, like the Creative Zen Nano, released in 2005: same storage capacity, but with Audible compatibility and an even better battery life (18 hours). 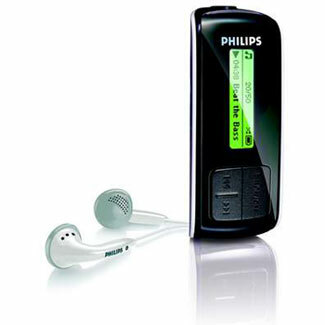 The Philips SA400, say hello to 2004 for us, will you?